In today's postmodern Western world, there is a greater propensity toward consumerism. Mass-market production coupled with international trade means that you can buy just about anything made anywhere with the simple click of a mouse. Not only are we seeing the commoditization of things (i.e., material objects), but also businesses and industries are capitalizing on this consumerist mentality, studying individuals' buying habits to demographically target their market. This data mining is done through a multiplicity of ways, such as through technological monitors called sensors. Sensors capture humancentric data at discrete intervals, generating big data that draws out patterns. Behavior can actually be seen as a type of commoditization, not of the product or service but rather of the consumers themselves. And yet, despite these trends toward mass consumption of material goods and monitoring consumer behavior, sociologists are grappling with how Western civility is radically turning from the accumulation of external commodities, such as goods and services, to viewing one's own body as a form of human capital—to utilize as an outer expression of the self—whether in part or in whole. In 2010, Michael et al. wrote an article on the Web of Things and People in a special issue, “Radio-Frequency Identification (RFID) Innovation” in Proceedings of the IEEE. The article described a world in which every object could be connected to the Internet and how society was undergoing a paradigm shift in which “human connectivity” was paramount to the “connectivity of things” notion. Albeit through the ability to surveil people with location-based services (e.g., using smartphones), wearables that are strapped to the wrist (e.g., quantified-self devices), unique forms of identification applied to the human body (e.g., microchip implants), or permanent prints on the body that are deep in symbolism (e.g., tattoos), the body is increasingly becoming a hub for outward expression through decorative art as well as gaining the potential for ambient intelligence through technology. Our bodies go everywhere we go; they can be directly seen by onlookers, they are permanent, and we cannot live without them, but they are also limited in span and size. Our personhood is encapsulated within our bodies (i.e., major organs like the brain that denote our personality), but we also have an outward appearance that is a type of visual biometric, given what we choose to do with our skin and bodies both on the surface and transdermal layers (i.e., beneath the skin). The voice of the citizen that was once mainly exemplified in various public forums has now radically turned inward—placing the emphasis on one's self as a medium to convey the message of choice . In addition, it can be argued that this message largely connotes a desire to be heard. 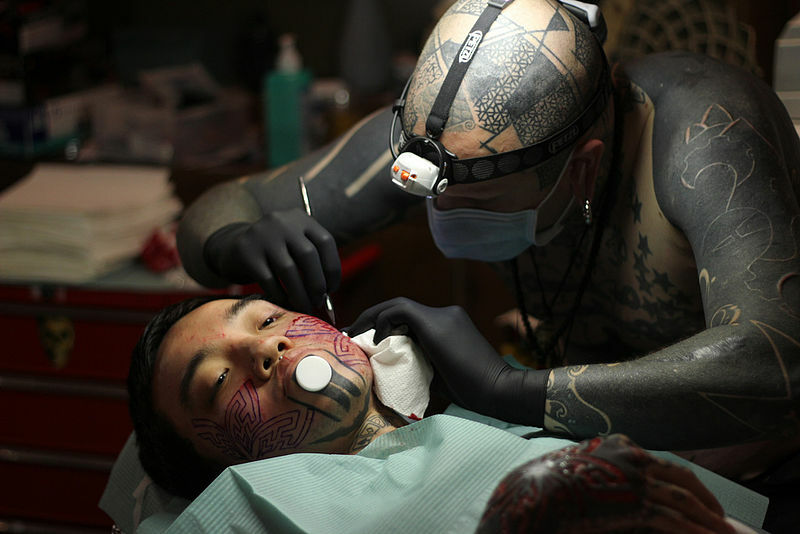 Forms of self-expression, such as body piercing, tattooing, scarification, chipification, and the like, are exonerated through the mere fact that these acts are largely going unchecked, whether viewed as non-self-invasive, harmless, or radical . Such control over one's own body through alterations and modifications can be grouped together and argued to convey a universal message, a message that heralds a collective statement that the human body is in fact a form of personal physical capital  and therefore fully within one's rights to self-legislate. Some theorists argue that there are mechanisms of control, such as with those controlling the message in the media, that are softly coercing active citizenry into a state of docility—conforming to expected societal norms of the dominant class of influence, while uncritically accepting rapid change such as that which is found in a highly advanced society led by rapid technological growth . We observe this claim as people continue to feel the need to purchase the latest high-tech gadgetry, whether it is the latest smartphone, tablet, smart TV, or even a drone. We are no longer satisfied with a functional device; it must be the device with all the latest bells and whistles. Others argue that conformance is much more social and is the result of the individual adopting culturally bound practices within one's defined subculture . A third perspective is a top-down approach that views technology and the need for adherence as being the result of an organizational governmental endeavor  to ensure civil order and eradicate social injustice, which one day will aid in bringing about worldwide emancipation . We note this in the mandatory adoption of certain ID cards for transport and Social Security or even in the planned obsolescence of products developed by companies to ensure the consumer is locked in to an endless array of upgrades . Commodities are not built to last because it means the individual will remain a lifelong consumer—ensuring continued business while fueling the consumerist mentality. Yet, it can be argued, in this endeavor to maintain social order—which also enables civility to live in community, function in commerce, and progress toward self-maturation —that technological change (which highly endorses systematic order) often becomes so restrictive that it turns out to be repressive to those who are subject to it. In such instances, governing technological mechanisms are often deemed as a form of top-down control. As a way for the individual to break free from the limitations of the systematic straitjacket (which can be argued to highly parallel Weber's “iron cage” of rationality ), the restricted self may react in a variety of ways. Such reactions may include demonstrating disapproval outside the jurisdiction of one's own “locus of control” . Moving beyond such confinements is often deemed defiant in nature and subject to various penal measures that may even result in punishment not equal to the crime . This fear of discipline can then be seen as encouraging society to turn its outward objective gaze, which once strove to understand society as an organic political whole, to the embodied “self” who looks to one's body as a safe medium to reflect opinion that is void of external punitive repercussions. Whether this tendency occurs instinctively, or even intuitively, it is here that social science can look to the human body as a sign carrier  and ask the question as to whether subcultural groups, such as the body alteration and tattooing movement (thus far being grouped as modern primitives ), are unconsciously working together to reaffirm the rights of the autonomous self to govern changes to one's physical being and whether this movement is growing as the result of a loss in public forums once present to the general public as a means to freely express is yet to be determined. Currently, there are no laws that protect the people's rights of commodifying the human body as a means of exercising freedom of speech; rather, such a public display can be argued as legal as it remains largely uncensored by the state. There are state-based acts that stipulate that an individual should not be enforcedly microchipped in the United States, for instance, but this is legislation that guards against a top-down implementation and does not cover the individual's right to modify one's own body . Additionally, CASPIAN Director Katherine Albrecht had proposed a Bodily Integrity Act in 2007 to prevent the forced or coerced chipping of individuals in America . One thing is for certain, major historical change does not transpire without a radical shift in society's behavior, which is not only reflective in one's thinking and level of acceptance to change but also endorsed by society's collective act of adoption. It is this postmodern preoccupation with remaking the human body, combined with the uncritical acceptance of technological change, that makes the intermingling of human and machine an outward phenomena well worth investigating. Herbert  argues that the intermingling of human and subdermal devices is “a social phenomena of technological branding.” The trans-humanist movement, full of high-profile techno-evangelists, typifies this all-you-can-eat technology paradigm to the point that they propose that soon we will all become something other than human, as if being purely human is not enough. Body piercings (Figure 1), tattooing, and other forms of more radical alterations (Figure 2), such as skin laceration, involve a study grounded within the confines of the sociology of the body  and yet extend more broadly to issues of universal human rights as well as international humanitarian laws. It can be argued that the individual is both a social being and a political citizen with certain rights to self-legislate . This juxtaposition places the emphasis on one's own human body as a vehicle to self-determinate, while inadvertently exercising political freedom collectively at an objective level. While social scientists strive to comprehend the signs of the times and endeavor to mark this era as being distinct from any other time in history, the remaking of human identity through technology as a means of the individual exercising political freedom is a clear indicator that we have entered a new cultural era. As well, the degree to which subdermal technologies are being considered for top-down implementation as a means to improve the human race while maintaining social order is another clear historical marker that society's ideological beliefs have radically shifted and modernity has come to a close. Due to the lack of true public forums (e.g., public referendums), the self is becoming less engaged with the external political world . This is resulting in the individual having an ever-growing fascination with the forming and remaking of one's own identity. Goffman interprets the use of the human body as a type of “sign carrier,” arguing that the way people adorn and present their bodies is how they impart knowledge about themselves to the outside world . Frank argues that this message permeates the level of subjectivity and therefore is not silent. He argues that through the paradoxical interplay between modern society and the speaking body, the polarity between subjectivity and objectivity is resolved. Likewise, as being argued by the phenomenologist, the chasm between these two views can be resolved through an investigation of the manifested collective phenomena . By the talking body, Frank is referring to an understanding of communication as quite literally embodied human cognition and communication that is grounded in the corporeal (physio-logical) experience. Thus, Frank concludes that although our human experience and the way we interpret society is subjective, we all have bodily experiences that are common to each other's and are therefore grounded in a type of objective tangible reality. Hence, such common experiences can be reflected upon corporeally, and in doing so they provide a mutual comprehension of our social world . Although the study of one's individual phenomenon provides us with the subjective perspective, whereby we can still gain knowledge through the investigation of each independent case study, larger quantities of like phenomena can be grouped collectively to look at subcultures more holistically. the provides us with an objective view, which then presents a more macroscopic lens of the way in which the individual is remaking human identity as a whole, through the aid of technology . Although such studies are highly qualitative, their heavy reliance on observation makes the findings highly empirical. Through the study of the manifestation of the physical body and the individual's actions, science can obtain an objective view of an individual's subjective experience on a collective level, which Frank deems as being corporeal. Regardless of whether the self is acting consciously or unconsciously, the remaking of individuality through technology is a worthy subject of study and can provide twofold value—enlightening the social scientist while giving the individual a sense of worth to the embodied experience—placing emphasis on the purpose that spurs the individual toward certain ends . In this sense, it is equally a study of the actions of the one, which can be contextualized within the many when a common denominator is found, where the objective and subjective dichotomy are at least partially harmonized . One of the most significant characteristics of the Modern Primitives movement is their appropriation of “primitive rituals.” In their search for radical corporal, psychic and spiritual experiences and their performance of sexual events and encounters, Modern Primitives seek inspiration by so-called primitive societies through the adoption of their communal rites and body modification techniques. Such body modifications are viewed as an activity engaged in by consumers as a means to construct one's identity through the transformation of one's own physical capital—the human body . It is here that the social theorist is making an indirect reference to the individual as being an autonomous agent possessing ownership and rights of governance over one's own physical body. This doctrine must be grounded in the understanding that self-determination is limited, in that it excludes the rights of inflicting bodily harm. This distinction needs detailed articulation, due to irrational behaviors (i.e., cutting, pleasure in pain) that can be argued as being a direct result of a psychological disorder  and subject to medical prevention. It can be argued that such irrational behavior puts human rights to self-govern in jeopardy. Whether consciously or not, the embodied selves are collectively growing in number, and in this sense, their actions are becoming unified—forming a unified voice of solidarity, crying out, “Enough is enough, this is my life; I have the right to alter my ‘own body’ as I please.” These very rights, combined with the way in which technology is changing the propensity to body alter, are central to this discussion. It addresses whether full governance should be placed with the individual as a type of universal right of self-legislation as being ethically established through critical discourse or whether rights of autonomyremain as they currently are—a matter of the law—determined on a case-by-case basis. Many big companies like Apple, Samsung, and Google are working on technology to measure your biology from outside of your body. Wearable devices ranging from watches to contact lenses will track everything… footsteps, heart rate, blood glucose, blood pressure and other critical vitals. The challenge is that they only work when you remember to wear them, and there are some things you can't measure from the outside. The question is: when would you be ready to start incorporating technology into your body? To demonstrate that this thinking about next-generation IT was not isolated to the United States, in December 2014, eight Swedes held an implant party in Stockholm. BBC News reporter Jane Wakefield noted Hannes Sjoblad's hope that his implant party would spark a conversation about our possible cyborg future. He said, “The idea is to become a community; that is why they get implants done together…People bond over the experience and start asking questions about what it means to be a man and machine…Curiosity is one of the biggest drivers for us humans. I come from a maker hacker culture and I just want to see what I can do with this” . In January 2015, it was reported by the BBC that a high-tech office block in Sweden known as Epicenter was granting employees the option to have a microchip implanted under the skin for physical access control to the building, among other functions . In August 2015, Lloyds Bank announced that about 7% of U.K. consumers would adopt microchip implants in their body for making electronic payments . In September of the same year, Kaspersky Labs became intrigued with the security issues related to microchip implants and engaged Sjoblad, chief disruption officer and founder of BioNyfiken (of Epicenter), to their APAC Cyber Security Summit in Malaysia to demonstrate the implantation process . In November 2015, Tim Cannon of Grindhouse Wetware in Pittsburgh, Pennsylvania, launched the Northstar device. While version 1 is limited in capabilities, the Bluetooth-enabled version 2 promises gesture recognition to control remote electronic devices as well as adding patterns or color variations to the existing light-emitting diode (LED) (Figures 3 and 4) . This is all while DangerousThings.com has been creating a recognized brand with NFC/RFID implant solutions for biohackers since 2013 [Figure 5(a) and (b)]. Visiting the home page of Dangerous Things, one is greeted by the following messages: “We believe biohacking is the forefront of a new kind of evolution” and “RFID/NFC next level body augmentation.” But most pertinent of all to this article is a statement on the “About Us” page noting, “We believe our bodies are our own, to do with what we want. The ‘socially acceptable’ of tomorrow will be defined by boundaries pushed today, and we're excited to be a part of it” . Klesse states that the signs of the time have been marked by “an unprecedented individualization of the body [where] technological developments, among others, allow for the alteration of the body” . Yet, clearly, it is not just that new technological development is opening up alternatives for body alterations but that the mass acceptance of body modifying practices is shifting the mind-set of the individual to more readily accept skin-embedded technologies. In this sense, there is a conformance transpiring that both is and is not completely lead by one's own free volition. In Taylor's studies in Hegel and Modern Society, he addresses the notion of being free from external influences. He discusses the question pertaining to freedom by asking if one is truly free when “being motivated by one's own desire, however caused?” [36, p. 3]. Taylor goes on to answer this question by stating, “moral freedom must mean being able to decide against all inclination for the sake of the morally right” . In contrast to the moral relativistic perspective that views happiness as a by-product of fulfilling one's own desire, he writes, “Instead of being dispersed throughout his diverse desires and inclinations the morally free subject must be able to gather himself together, as it were, and make a decision about his total commitment” . Taylor adopts a highly sociological approach and argues that “following the Heideggerian dictum of being-in-the-world,…human beings are already situated in a certain context of cultural meanings; they are embedded in a web of pre-existing and pre-interpreting cultural significance” . Although Taylor argues the need for an objective stance, he in no way supports penal actions for those who have not reached a place of true moral freedom—a place where the self is free from inclinations of the culture in which one is imbued. While this reference helps to aid in determining the distinction that needs to be made, and clearly supports the notion that a certain level of maturity must be in place before an individual can truly exercise proper moral freedom, it in no way supports the notion that freedom of choice should be taken from individuals who lack the capacity to clearly decipher personal motivations as to whether one's decisions are objectively made and free from external influences, once legal age of consent has been met—at least insomuch that it is in reference to one's own autonomous self. Likewise, Baron de Montesquieu advocated against a standardizing of society or leveling of tastes or ideologies through imposed indoctrinations. If there were in the world a nation which had a sociable humour, an openness of heart, a joy in life, a taste, an ease in communicating its thoughts; which was lively, pleasant, playful, sometimes imprudent, often [injudicious]; and which had with all that, courage, generosity, frankness, and a certain point of honour, one should avoid disturbing its manners by laws, in order not to disturb its [tranquility]. It is here that we argue that the right to exercise moral freedom must be given both to those who are acting intuitively as well as instinctively, to the extent that one's intuition or instinct aligns with the rights of the one and does not work against the good of the collective in a way that is objectively proven. Human instinct is innate and does not parallel Taylor's notion of inclination but rather in various disciplines such as business is referred to as a gut feeling . This feeling is subjective—often going against all odds—making it distinctly separate from an inclination derived due to calculative thoughts or social influences. Hence, moral freedom—pertaining to adopting body-invasive practices or technologies as well as the refusal of such practices—should not be based on one's ability to articulate the rationale behind one's position whether the individual believes adoption to be right or wrong. We argue that human choice, concerning the right of moral freedom, is not just for the cognitively developed, as intelligence is not limited to academic achievement. Who Owns My Body when Technologies Invade it? In issues that involve moral freedom, there needs to be a clear distinction—let us call it the plumb line. The distinction that needs to be made is concerning ownership of one's own body in the interchange with body-invasive technologies. Currently, there is a great divide, and so while in our examples we have largely focused on free adopters (i.e., so-named modern primitives, also known as RFIDs, biohackers, grinders, or do-it-yourselfers) who alter one's appearance as a means of conveying information of one's identity to freely exercise self-governance, the line is not being drawn here but rather the plumb line is, by placing individuals under marks of servitude through top-down practices or organizational implementation, imposing an ideology of acceptance that is not one's own. While the first supports freedom to self-determinate, the second leaves no room for moral freedom to be exercised—such as with an outright refusal of accepting changes to one's physical capital. Various theorists are arguing body modification is a way of constructing one's identity. For example, inserting metal devices under the skin can be seen as a form of resistance to traditional pressures to normalize, by means of challenging the expected norms of society (Figure 6) . However, while modern primitives engage in consumption, whereby they use one's own body as a form of physical capital, it often parallels the Western civilities position of extreme commoditization of external goods [6, p. 305]. It can be argued that rather than the modern primitive taking a stand against repressive systems or resisting expected societal norms, through using one's own body beyond its natural intent, the individual is instead aligning with the linear historical direction of overincreasing rationality that seeks to merge man and technology as a means to eradicate social injustice, whether as a mechanism of control or as a means to maintain social order (Figure 7). This was particularly exemplified when implant proponent Sjoblad told the BBC that his Swedish Biohacking Group had another objective for the Epicenter trial, which was preparing us all for the day when others want to chip us. Sjoblad was quoted as saying, “We want to be able to understand this technology before big corporates and big government come to us and say everyone should get chipped—the tax authority chip, the Google or Facebook chip” . Similarly, when Amal Graafstra was asked in 2007 whether or not he would accept a national ID implant, he replied, “a lot of people ask me…if I am ever going to get my tags removed and I do not really see a reason to do that—unless of course they become oppressive in some way and my particular brand of tags can be used in that [oppressive] system, then I would remove them” [39, p. 448]. Through the participation of modern primitivism, it can be argued that the cyborg becomes less alien or sci-fi and more culturally acceptable by a preconditioning of society. Hence, it can be argued that the ancient metaphor becomes present-day reality, while through the very act of adopting body-modification practices, the embodied selves are collectively sowing pillows to the armholes of the people—stripping humanity of the power to evoke change. In this sense (which differs radically from the collective voice of solidarity described above), it can be argued that modern primitive acceptance of body-modifying devices has the potential to inadvertently promote a form of cybernetics that is designed to place humanity at ease—where the individual can easily enter into a state of docility while the governing system acts as the big brother—maintaining social order in exchange for providing a standardization of goods and services. Theorists are already predicting that embedded technologies will be viewed as a user-friendly mechanism to ensure social order, while making unprecedented promises to the general public . If the individual is lacerating the skin by one's own violation, or inserting metal devices to add texture and contour, whether for aesthetic value, sexual appeal, on-body computing, group affiliation, or mere shock value, the motivating factor driving the cultural movement becomes less relevant to that of understanding the direction in which it could be argued as leading the masses. For it is here that it can be sociologically grouped and viewed as an important signifier that draws our attention to other movements, such as cybernetics, and just how the acceptance of body alterations (e.g., lacerations, embedding metals, and sadomasochism) is paving the way. In this sense, body alterations of this nature differ very little in appearance from a top-down cyborg in the form of state paternalism; the necessary distinction is that rights of adoption or refusal remain within the individual's jurisdiction to choose in conjunction to its utility or purpose. To ensure clarity, it is imperative modern primitive acts not be grouped as a whole. For example, although, sadomasochism and skin laceration are extreme, it is a matter that concerns itself not only with rights of self-governance but due to its nature also can be seen as harming oneself unlawfully. Therefore, causing bodily harm to oneself is distinctly different from, let us say, the act of nose piercing, which has little to no residual effects when it comes to physical harm or being used as a form of social control, other than being seen in ancient practices as a form of being enslaved—an ancient landmark. Regardless of the stance we take on body modifying, the human body is sacred and trespassing without consent is not without serious repercussion—be it a known or the results of an unintentional consequence—it is here, the line is drawn. In conclusion, we are not advocating that the rights of modifying one's own physical body be taken away but rather that lines of distinction must be drawn in order that moral autonomy remain intact. To address theorists' concerns, it is imperative this movement receive ever greater levels of articulation. Citation: S.R.B. Munn and Katina Michael, "Whose Body Is It? : The body as physical capital in a techno-society", IEEE Consumer Electronics Magazine, Vol. 5, No. 3, July 2016, pp. 107-114. 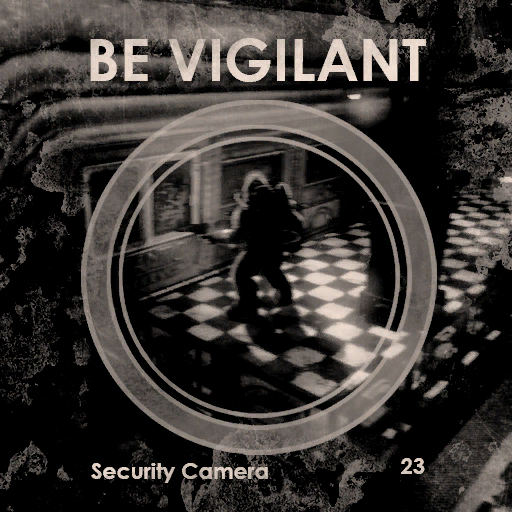 This image was taken from the BioShock video game series or from websites created and owned by 2K Games, the copyright of which is held by Take-Two Interactive Software, Inc.
Be vigilant; we implore the reader. Yet, vigilance requires hard mental work (Warm et al., 2008). Humans have repeatedly shown evidence of poor performance relative to vigilance, especially when we are facing such factors as complex or novel data, time pressure, and information overload (Ware, 2000). For years, researchers have investigated the effect of vigilance, from the positive impact of it upon the survival of the ground squirrel in Africa to its decrement resulting in the poor performance of air traffic controllers. Scholars seem to agree: fatigue has a negative bearing on vigilance. In our society, we have become increasingly fatigued, both physically and cognitively. It has been widely documented that employees are in­creasingly faced with time starvation, and that consequently self-imposed sleep deprivation is one of the primary reasons for increasing fatigue, as employees forego sleep in order to complete more work (see, for example, the online publications by the Society of Human Resources1 and the Na­tional Sleep Foundation2). Widespread access to technology exacerbates the problem, by making it possible to stay busy round the clock. Our information-rich world which leads to information overload and novel data, as well as the 24/7/365 connectivity which leads to time pressure, both contribute to fatigue and so work against vigilance. However, the lack of vigilance, or the failure to accurately perceive, identify, or an­alyze bona fide threats, can lead to serious negative consequences, even a life-threatening state of affairs (Capurro, 2013). · Prolonged exposure to ambiguous, unspecified, and ubiquitous threat information. · Overwhelming pressure to maintain exceptional, error-free per­formance. · Faulty strategies for structuring informed decision-making under con­ditions of uncertainty and stress. Therefore, as we are asking the reader to be vigilant in this transformative – and potentially disruptive transition toward – the ‘computer after me’, we feel obligated to articulate clearly the potential threats associated with veillance. We believe we must ask the challenging and unpopular questions now. We must disclose and discuss the existence of risk, the values at stake, and the possibility of harm related to veillance. We owe it to the reader in this world of increasing vigilance fatigue to provide unambiguous, specified threat information and to bring it to their attention. Embedded sensors have provided us with a range of benefits and conve­niences that many of us take for granted in our everyday life. We now find commonplace the auto-flushing lavatory and the auto-dispensing of soap and water for hand washing. Many of these practices are not only conve­nient but help to maintain health and hygiene. We even have embedded sensors in lamp-posts that can detect on-coming vehicles and are so energy efficient that they turn on as they detect movement, and then turn off again to conserve resources. However, these fixtures are static; they form basic infrastructure that often has ‘eyes’ (e.g. an image and/or motion sensor), but does not have ‘legs’. What happens when these sensors – for identification, location, condi­tion monitoring, point-of-view (POV) and more – become embeddable in mobile objects and begin to follow and track us everywhere we go? Our vehicles, tablets, smart phones, and even contactless smart cards are equipped to capture, synthesize, and communicate a plethora of information about our behaviors, traits, likes and dislikes, as we lug them around everywhere we go. Automatic licence plate scanners are mounted not only in street­lights or on bridges, but now also on patrol cars. These scanners snap photos of automobiles passing and store such data as plate numbers, times, and locations within massive databases (Clarke, 2009). Stores are combin­ing the use of static fixtures with mobile devices to better understand the psychographics and demographics of their shoppers (Michael and Clarke, 2013). The combination of these monitoring tools is powerful. Cell phone identifiers are used to track the movements of the customers (even if the customer is not connected to the store’s WiFi network), with the surveillance cameras collecting biometric analytics to analyze facial expressions and moods. Along with an augmented capability to customize and person­alize marketing efforts, the stores can identify how long one tarries in an aisle, the customer’s reaction to a sale item, the age of the shopper, and even who did or did not walk by a certain display. The human has now become an extension (voluntarily or involuntarily) of these location-based and affect-based technological breakthroughs; we the end-users are in fact the end-point of a complex network of net­works. The devices we carry take on a life of their own, sending binary data up and down stream in the name of better connectivity, awareness, and ambient intelligence. ‘I am here’, the device continuously signals to the nearest access node, handshaking a more accurate location fix, as well as providing key behavioral indicators which can easily become predictors of future behaviors. However, it seems as if we, as a society, are rapidly in de­mand of more and more communications technology – or so that is the idea we are being sold. Technology has its many benefits: few people are out of reach now, and communication becomes easier, more personalized, and much more flexible. Through connectivity, people’s input is garnered and responses can be felt immediately. Yet, just as Newton’s action–reaction law comes into play in the physical realm, there are reactions to consider for the human not only in the physical realms, but also in the mental, emo­tional, and spiritual realms (Loehr and Schwartz, 2001), when we live our lives not only in the ordinary world, but also within the digital world. Claims have been made that our life has become so busy today that we are grasping to gain back seconds in our day. It could be asked: why should we waste time and effort by manually entering all these now-necessary pass­words, when a tattoo or pill could transmit an 18-bit authentication signal for automatic logon from within our bodies? We are led to believe that individuals are demanding uninterrupted connectivity; however, research has shown that some yearn to have the freedom to ‘live off the grid’, even if for only a short span of time (Pearce and Gretzel, 2012). Enter Google Glass, Autographer, Memoto, TrackStick, Fitbit, and other wearable devices that are worn like spectacles, apparel, or tied round the neck. The more pervasive innovations such as electronic tattoos, nanopatches, smart pills, and ICT implants seamlessly become a ‘part’ of the body once attached, swallowed, embedded, or injected. These technolo­gies are purported to be lifestyle choices that can provide a myriad of con­veniences and productivity gains, as well as improved health and well-being functionality. Wearables are believed to have such benefits as enhancements to self-awareness, communication, memory, sensing, recognition, and logis­tical skills. Common experiences can be augmented, for example when a theme park character (apparently) knows your child’s name because of a wrist strap that acts as an admissions ticket, wallet, and ID. Gone are the days when there was a stigma around electronic bracelets being used to track those on parole; these devices are now becoming much like a fashion statement and a desirable method not only for safety and security, but also for convenience and enhanced experiences. However, one must consider that an innocuous method for convenience may prove to create ‘people as sensors’ in which information is collected from the envi­ronment using unobtrusive measures, but with the wearer – as well as those around the wearer – possibly unaware of the extent of the data collection. In addition to issues around privacy, other questions must be asked such as: what will be done with the data now and well into the future? The metaphor of ‘people as sensors’, also referred to as Citizens as Sen­sors (Goodchild, 2007), is being espoused, as on-board chipsets allow an individual to look out toward another object or subject (e.g. using an im­age sensor), or to look inward toward oneself (e.g. measuring physiological characteristics with embedded surveillance devices). As optional prosthetic devices are incorporated into users, devices are recognized by some as be­coming an extension of the person’s mind and body. New developments in ‘smart skin’ offer even more solutions. The skin can become a function of the user’s habits, personality, mood, or behavior. For example, when inserted into a shoe, the smart skin can analyze and improve the technical skill of an athlete, factors associated with body stresses related to activity, or even health issues that may result from the wearer’s use of high-heeled shoes (Papakostas et al., 2002). Simply put, human beings who function in analog are able to communicate digitally through the devices that they wear or bear. This is quite a different proposition from the typical surveil­lance camera that is bolted onto a wall overlooking the streetscape or mall and has a pre-defined field of view. ‘People as sensors’ is far more pervasive than dash-cams used in police vehicles, and can be likened to the putting on of body-worn devices by law enforcement agencies to collect real-time data from the field (see Fig­ure 13.1). When everyday citizens are wearing and bearing these devices, they form a collective network by contributing individual subjective (and personal) observations of themselves and their surroundings. There are advantages; the community is believed to benefit with relevant, real-time information on such issues as public safety, street damage, weather obser­vations, traffic patterns, and even public health (cf. Chapter 12). People, using their everyday devices, can enter information into a data warehouse, which could also reduce the cost of intensive physical networks that oth­erwise need to be deployed. Although murky, there is vulnerability; such as the risk of U-VGI (Un-Volunteered Geographical Information) with the tracking of mass movements in a cell phone network to ascertain traffic distribution (Resch, 2013). Consider it a type of warwalking on foot rather than wardriving.3 It seems that opt-in and opt-out features are not deemed necessary, perhaps due to the perceived anonymity of individual user identifiers. The ability to ‘switch off’, ‘turn off’, ‘unplug’, or select the ‘I do not consent’ feature in a practical way, is a question that many have pondered, but with arguably a limited number of pragmatic solutions, if any. With ‘citizens as sensors’ there is an opt-in for those subscribing, but issues need to be considered for those in the vicinity of the bearer who did not consent to subscribe or to be recorded. Researchers contend that even the bearer must be better educated on the potential privacy issues (Daskala, 2011). For example, user-generated information yields longitude and lat­itude coordinates, time and date stamps, and speed and elevation details which tell us significant aspects about a person’s everyday life leading to insight about current and predictive behavioral patterns. Data could also be routinely intercepted (and stored indefinitely), as has been alleged in the recent National Security Agency (NSA) scandal. Even greater concerns arise from the potential use of dragnet electronic surveillance to be mined for information (now or in the future) to extract and synthesize rich het­erogeneous data containing personal visual records and ‘friends lists’ of the new media. Call detail records (CDRs) may just be the tip of the iceberg. Wearables, together with other technologies, assist in the process of tak­ing in multiple and varied data points to synthesize the person’s mental and physical performance (e.g. sleep quality), psychological states such as moods and stimulation levels (e.g. excitement), and other inputs such as food, air quality, location, and human interactions. Neurologically, information is addictive; yet, humans may make worse decisions when more information is at hand. Humans also are believed to overestimate the value of missing data which may lead to an endless pursuit, or perhaps an overvaluing of useless information (Bastardi and Shafir, 1998). Even more consequential, it is even possible that too much introspection can also reduce the quality of decisions of individuals. Katina Michael and M. G. Michael (2009) made a presentation that, for the first time at a public gathering, considered surveillance, dataveillance, sousveillance and überveillance all together. As a specialist term, veillance was first used in an important blogpost exploring equiveillance by Ian Kerr and Steve Mann (2006) in which the ‘valences of veillance’ were briefly described. But in contrast to Kerr and Mann, Michael and Michael were pondering on the intensification of a state of überveillance through increasingly pervasive technologies, which can provide details from the big picture view right down to the miniscule personal details. But what does veillance mean? And how is it understood in different contexts? What does it mean to be watched by a CCTV camera, to have one’s personal details deeply scrutinized, to watch another, to watch one­self? And so we continue by defining the four types of veillances that have received attention in recognized peer reviewed journal publications and the wider corpus of literature. First, the much embraced idea of surveillance recognized in the early nine­teenth century from the French sur meaning ‘over’ and veiller meaning ‘to watch’. According to the Oxford English Dictionary, veiller stems from the Latin vigilare, which means ‘to keep watch’. Dataveillance was conceived by Clarke (1988a) as “the systematic use of personal data systems in the investigation or monitoring of the actions or communications of one or more persons” (although in the Oxford English Dictionary it is now defined as “the practice of monitoring the online ac­tivity of a person or group”). The term was introduced in response to government agency data matching initiatives linking taxation records and social security benefits, among other commercial data mining practices. At the time it was a powerful response to the proposed Australia Card pro­posal in 1987 (Clarke, 1988b), which was never implemented by the Hawke Government, while the Howard Government’s attempts to introduce an Access Card almost two decades later in 2005 were also unsuccessful. It is remarkable that same issues ensue today, only on a greater magnitude with more consequences and advanced capabilities in analytics, data storage, and converging systems. Sousveillance was defined by Steve Mann in 2002, but practiced since 1995 as “the recording of an activity from the perspective of a participant in the activity” . 5 However, its initial introduction into the literature came in the inaugural Surveillance and Society journal in 2003 with a meaning of ‘in­verse surveillance’ as a counter to organizational surveillance (Mann et al., 2003). Mann prefers to interpret sousveillance as under-sight, which main­tains integrity, contra to surveillance as over-sight (Mann, 2004a), which reduces to hypocrisy if governments responsible for surveillance pass laws to make sousveillance illegal. Whereas dataveillance is the systematic use of personal data systems in the monitoring of people, sousveillance is the inverse of monitoring people; it is the continuous capture of personal experience (Mann, 2004b). For ex­ample, dataveillance might include the linking of someone’s tax file number with their bank account details and communications data. Sousveillance on the other hand, is a voluntary act of logging what people might see as they move through the world. Surveillance is thus considered watch­ing from above, whereas sousveillance is considered watching from below. In contrast, dataveillance is the monitoring of a person’s activities which presents the individual with numerous social dangers (Clarke, 1988a). ¨Uberveillance conceived by M. G. Michael in 2006, is defined in the Aus­tralian Law Dictionary as: “ubiquitous or pervasive electronic surveillance that is not only ‘always on’ but ‘always with you’, ultimately in the form of bodily invasive surveillance”. The Macquarie Dictionary of Australia entered the term officially in 2008 as “an omnipresent electronic surveil­lance facilitated by technology that makes it possible to embed surveil­lance devices in the human body”. Michael and Michael (2007) defined überveillance as having “to do with the fundamental who (ID), where (loca­tion), and when (time) questions in an attempt to derive why (motivation), what (result), and even how (method/plan/thought)”. ¨Uberveillance is a compound word, conjoining the German über mean­ing ‘over’ or ‘above’ with the French veillance. The concept is very much linked to Friedrich Nietzsche’s vision of the übermensch, who is a man with powers beyond those of an ordinary human being, like a super-man with amplified abilities (Michael and Michael, 2010). ¨Uberveillance is analogous to big brother on the inside looking out. For example, heart, pulse, and temperature sensor readings emanating from the body in binary bits wire­lessly, or even through amplified eyes such as inserted contact lens ‘glass’ that might provide visual display and access to the Internet or social net­working applications. ¨Uberveillance brings together all forms of watching from above and from below, from machines that move to those that stand still, from animals and from people, acquired involuntarily or voluntarily using obtrusive or unob­trusive devices (Michael et al., 2010). The network infrastructure underlies the ability to collect data direct from the sensor devices worn by the individ­ual and big data analytics ensures an interpretation of the unique behavioral traits of the individual, implying more than just predicted movement, but intent and thought (Michael and Miller, 2013). It has been said that überveillance is that part of the veillance puz­zle that brings together the sur, data, and sous to an intersecting point (Stephan et al., 2012). In überveillance, there is the ‘watching’ from above component (sur), there is the ‘collecting’ of personal data and public data for mining (data), and there is the watching from below (sous), which can draw together social networks and strangers, all coming together via wear­able and implantable devices on/in the human body. ¨Uberveillance can be used for good in the practice of health for instance, but we contend that, independent of its application for non-medical purposes, it will always have an underlying control factor (Masters and Michael, 2006). It can be argued that, because a CCTV camera is monitoring activities from above, we should have the ‘counter-right’ to monitor the world around us from below. It therefore follows, if Google can record ‘street views’, then the average citizen should also be able to engage in that same act, which we may call ‘person view’. Our laws as a rule do not forbid recording the world around us (or even each other for that matter), so long as we are not encroaching on someone else’s well-being or privacy (e.g. stalking, or making material public without expressed consent). While we have Street View today, it will only be a matter of time before we have ‘drones as a service’ (DaaS) products that systematically provide even better high res­olution imagery than ‘satellite views’. We can make ‘drone view’ available on Google Maps, as we could probably also make ‘person view’ available. Want to look up not only a street, but a person if they are logged in and registered? Then search ‘John Doe’ and find the nearest camera pointing toward him, and/or emanating from him. Call it a triangulation of sorts. The benefits of this kind of transparency, argue numerous scholars, are that not only will we have a perfect source of open data to work with, but that there will be less crime as people consider the repercussions of being caught doing wrong in real-time. However, this is quite an idealistic paradigm and ethically flawed. Criminals, and non-criminals for that mat­ter, find ways around all secure processes, no matter how technologically foolproof. At that point, the technical elite might well be systematically hiding or erasing their recorded misdemeanours but no doubt keeping the innocent person under 24/7/365 watch. There are, however, varying de­grees to transparency, and most of these have to do with economies of scale and/or are context-based; they have to be. In short, transparency needs to be context related. At what point do we actually believe that in a public space our privacy is not invaded by such incremental innovations as little wearable cameras, half the size of a matchbox, worn as lifelogging devices? One could speculate that the sheer size of these devices makes them unobtrusive and not easily detectable to the naked eye, meaning that they are covert in nature and blatantly break the law in some jurisdictions where they are worn and operational (Abbas et al., 2011). Some of these devices not only capture images every 30 seconds, but also record audio, making them potentially a form of unauthorized surveillance. It is also not always apparent when these devices are on or off. We must consider that the “unrestricted freedom of some may endanger the well-being, privacy, or safety of others” (Rodota and Capurro, 2005, p. 23). Where are the distinctions between the wearer’s right to capture his or her own personal experiences on the one hand (i.e. the unrestricted freedom of some), and intrusion into another’s private sphere in which he or she does not want to be recorded, and is perhaps even disturbed by the prospect of losing control over his or her privacy (i.e. endangering the well-being or privacy of others)? Enter ethics and values. Ethics in this debate are greatly important. They have been dangerously pushed aside, for it is ethics that determine the degree of importance, that is the value, we place on the levels of our decision-making. When is it right to take photographs and record another individual (even in a public space), and when is it wrong? Do I physically remove my wearable device when I enter a washroom, a leisure centre, a hospital, a funeral, someone else’s home, a bedroom? Do I need to ask express permis­sion from someone to record them, even if I am a participant in a shared activity? What about unobtrusive devices that blur the line between wear­ables and implantables, such as miniature recording devices embedded in spectacle frames or eye sockets and possibly in the future embedded in con­tact lenses? Do I have to tell my future partner or prospective employer? Should I declare these during the immigration process before I enter the secure zone? At the same time, independent of how much crowdsourced evidence is gathered for a given event, wearables and implantables are not infallible, their sensors can easily misrepresent reality through inaccurate or incom­plete readings and data can be even further misconstrued post capture (Michael and Michael, 2007). This is the limitation of an überveillance so­ciety – devices are equipped with a myriad of sensors; they are celebrated as achieving near omnipresence, but the reality is that they will never be able to achieve omniscience. Finite knowledge and imperfect awareness create much potential for inadequate or incomplete interpretations. Some technologists believe that they need to rewrite the books on meta­physics and ontology, as a result of old and outmoded definitions in the traditional humanities. We must be wary of our increasing ‘technicized’ environment however, and continue to test ourselves on the values we hold as canonical, which go towards defining a free and autonomous human be­ing. The protection of personal data has been deemed by the EU as an autonomous individual right. Yet, with such pervasive data collection, how will we protect “the right of informational self-determination on each individual – including the right to remain master of the data concerning him or her” (Rodota and Capurro, 2005, p. 17)? If we rely on bio-data to drive our next move based on what our own wearable sensors tells some computer application is the right thing to do, we very well may lose a great part of our freedom and the life-force of improvization and spontaneity. By allowing this data to drive our decisions, we make ourselves prone to algorithmic faults in software programs among other significant problems. Lifelogging captures continuous first-person recordings of a person’s life and can now be dynamically integrated into social networking and other appli­cations. If lifelogging is recording your daily life with technical tools, many are unintentionally participating in a form of lifelogging by recording their lives through social networks. Although, technically, data capture in social media happens in bursts (e.g. the upload of a photograph) compared with continuous recording of first-person recordings (e.g. glogger.mobi) (Daskala, 2011). Lifelogging is believed to have such benefits as affecting how we re­member, increasing productivity, reducing an individual’s sense of isolation, building social bonds, capturing memories, and enhancing communication. Governing bodies could also derive benefit through lifelogging appli­cations data to better understanding public opinion or forecast emerging health issues for society. However, memories gathered by lifelogs can have side effects. Not every image, and not every recording you will take will be a happy one. Replaying these and other moments might be detrimental to our well-being. For example, history shows ‘looking back’ may become traumatic, such as Marina Lutz’s experience of having most of her life ei­ther recorded or photographed in the first 16 years of her life by her father (see the short film The Marina Experience). Researchers have discovered that personality development and mental health could also be negatively impacted by lifelogging applications. Vul­nerabilities include high influence potential by others, suggestibility, weak perception of self, and a resulting low self-esteem (Daskala, 2011). There is also risk that wearers may also post undesirable or personal expressions of another person, which cause the person emotional harm due to a neg­ative perception of himself or herself among third parties (Daskala, 2011). We have already witnessed such events in other social forums with tragic consequences such as suicides. Lifelogging data may also create unhealthy competition, for example in gamification programs that use higi scores to compare your quality of life to others. Studies report psychological harm among those who perceive they do not meet peer expectations (Daskala, 2011); how much more so when intimate data about one’s physical, emotional, psychological, and so­cial network is integrated, measured, and calculated to sum up quality of life in a three-digit score (Michael and Michael, 2011). Even the effect of sharing positive lifelogging data should be reconsidered. Various reports have claimed that watching other people’s lives can develop into an obsession and can incite envy, feelings of inadequacy, or feeling as if one is not accomplished enough, especially when comparing oneself to others. Perhaps lifelogs could have the opposite effect of their intended purpose, without ever denying the numerous positives. We may become wrapped up in the self, rather than in the common good, playing to a theater, and not allowing ourselves to flourish in other ways lest we are perceived as anything but normal. Such logging posted onto public Internet archival stores might well serve to promote a conflicting identity of the self, constant validation through page ranks, hit counts and likes, and other forms of electronic exhibitionism. Researchers purport that lifelogging activities are likely to lead to an over-reliance and excessive dependency on electronic devices and systems with emotionally concerning, on-going cognitive reflections as messages are posted or seen, and this could be at the expense of more important aspects of life (Daskala, 2011). Isaac Newton gave us much to consider when he said, “I was like a boy playing on the sea-shore, and diverting myself now and then find­ing a smoother pebble or a prettier shell than ordinary, whilst the great ocean of truth lay all undiscovered before me” (Brewster, 2001). Society at large must question if the measurements of Google hits, higi scores, clicks, votes, recordings, and analysis of data to quantify ‘the self’, could become a dangerously distracting exercise if left unbalanced. The aforementioned measurements, which are multi-varied and enormously insightful, may be of value – and of great enjoyment and fascination – much like Newton’s peb­bles and shells. However, what is the ocean we may overlook – or ignore – as we scour the beach for pebbles and shells? Data collection and analysis systems, such as lifelogging, may not appro­priately allow for individuals to progress in self-awareness and personal development upon tempered reflection. How do we aptly measure the con­tradictory aspects of life such as the healing that often comes through tears, or the expending of energy (exercise) to gain energy (physical health), or the unique wonder that is realized only through the pain of self-sacrifice (e.g. veritable altruistic acts)? Harvard researchers Loehr and Schwartz (2001) provide us with further evidence of how the bad (or the unpleasant) can be good relative to personal development, through an investigation in which a key participant went by the name of ‘Richard’. Richard was an individual progressing in self-awareness as documented during an investigation in which researchers were working to determine how executives could achieve peak performance leading to increased capacity for endurance, determination, strength, flexibility, self-control, and focus. The researchers found that executives who perform to full potential, for the long­term, tap into energy at all levels of the ‘pyramid of performance’ which has four ascending levels of progressive capacities: physical, emotional, mental, and spiritual. The tip of the pyramid was identified as spiritual capacity, defined by the researchers as “an energy that is released by tapping into one’s deepest values and defining a strong sense of purpose” (Loehr and Schwartz, 2001, p. 127). The spiritual capacity, above all else, was found to be the sustenance – or the fuel – of the ideal performance state (IPS); the state in which individuals ‘bring their talent and skills to full ignition and to sustain high performance over time’ (op. cit., p. 122). However, as Richard worked to realize his spiritual capacity, he experienced significant pain during a two-year period. He reported being overcome by emotion, consumed with grief, and filled with longing as he learned to affirm what mattered most in his life. The two-year battle resulted in Richard ‘tapping into a deeper sense of purpose with a new source of energy’ (op. cit., p. 128); however, one must question if technology would have properly quantified the bad as the ultimate good for Richard. Spiritual reflections on the trajectory of technology (certainly since it has now been plainly linked to teleology) are not out of place nor should they be discouraged. Beyond the veillance (the ‘watching’) of oneself, i.e. the inward gaze, is the outward veillance and watching of the other. But this point of eye (PoE), does not necessarily mean a point of view (PoV), or even wider angle field of view (FoV). Particularly in the context of ‘glass’. Our gaze too is subjective, and who or what will connote this censorship at the time when it really matters? The outward watching too may not tell the full story, despite its rich media capability to gather both audio and video. Audio-visual accounts have their own pitfalls. We have long known how vitally important eye gaze is for all of the social primates, and particularly for humans; there will be consequences to any artificial tampering of this basic natural instinct. Hans Holbein’s famous painting The Ambassadors (1533), with its patent reference to anamorphosis, speaks volumes of the critical distinction between PoE and PoV. Take a look, if you are not already familiar with this double portrait and still life. Can you see the skull? The secret lies in the perspective and in the tilt of the head. In the future, corporate marketing may hire professional lifeloggers (or mo­bile robotic contraptions) to log other people’s lives with commercial de­vices. Unfortunately, because of inadequate privacy policies or a lack of harmonized legislation, we, as consumers, may find no laws that would pre­clude companies from this sort of ‘live to life’ hire if we do not pull the reins on the obsession to auto-photograph and audio record everything in sight. And this needs to happen right now. We have already fallen behind and are playing a risky game of catch-up. Ethics is not the overriding issue for technology companies or developers; innovation is their primary focus because, in large part, they have a fiduciary responsibility to turn a profit. We must in turn, as an informed and socially responsive community, forge together to dutifully consider the risks. At what point will we leap from tracking the mundane, which is of the body (e.g. location of GPS coordi­nates), toward the tracking of the mind by bringing all of these separate components together using ¨uber-analytics and an ¨uber-view? We must ask the hard questions now. We must disclose and discuss the existence of risk, the values at stake, and the possibility of harm. It is significant that as researchers we are once more, at least in some places, speaking on the importance of the Cartesian mind/body distinction and of the catastrophic consequences should they continue to be confused when it comes to etymological implications and ontological categories. The mind and the body are not identical even if we are to argue from Leibniz’s Law of Identity that two things can only be identical if they at the same time share exactly the same qualities. Here as well, vigilance is enormously important that we might not disremember the real distinction between machine and human. Abbas, R., Michael, K., Michael, M. G., & Aloudat, A. (2011). Emerging Forms of Covert Surveillance Using GPS-Enabled Devices. Journal of Cases on Information Technology, 13(2), 19-33. Adler, I. (2013). How Our Digital Devices Are Affecting Our Personal Relationships. 90.9 WBUR. ALD (Ed.). (2010). Uberveillance: Oxford University Press. Bastardi, A., & Shafir, E. (1998). On the Pursuit and Misuse of Useless Information. Journal of Personality and Social Psychology, 75(1), 19-32. Brewster, D. (2001). Memoirs of the Life, Writings, and Discoveries of Sir Isaac Newton (1855) Volume II. Ch. 27: Adamant Media Corporation. Capurro, R. (2013). Medicine in the information and knowledge society. Paper presented at the Conference Name|. Retrieved Access Date|. from URL|. Clarke, R. (1988a). Information Technology and Dataveillance. Communications of the ACM, 31(5), 498-512. Clarke, R. (1988b). Just another piece of plastic in your wallet: the `Australian card' scheme. ACM SIGCAS Computers and Society, 18(1), 7-21. Clarke, R. (2009, 7 April 2009). The Covert Implementation of Mass Vehicle Surveillance in Australia. Paper presented at the Fourth Workshop on the Social Implications of National Security: Covert Policing, Canberra, Australia. Collins, L. (2008). Annals of Crime. Friend Game. Behind the online hoax that led to a girl’s suicide. The New Yorker. FastCompany. (2013). #Unplug. Fast Company, July/August(177). Goodchild, M. F. (2007). Citizens as sensors: the world of volunteered geography. GeoJournal, 69, 211–221. Hans Holbein the Younger. (1533). The Ambassadors. Kerr, I., & Mann, S. (2006). Exploring Equiveillance. ID TRAIL MIX. Levin, A. (2013). Waiting for Public Outrage. Paper presented at the IEEE International Symposium on Technology and Society, Toronto, Canada. Loehr, J., & Schwartz, T. (2001). The Making of a Corporate Athlete. Harvard Business Review, January, 120-129. Macquarie (Ed.). (2009). Uberveillance: Sydney University. Magid, L. (2013). Wearables and Sensors Big Topics at All Things D. Forbes. Mann, S. (2004a). Continuous lifelong capture of personal experience with EyeTap. Paper presented at the ACM International Multimedia Conference, Proceedings of the 1st ACM workshop on Continuous archival and retrieval of personal experiences (CARPE 2004), New York. Mann, S. (2004b). Sousveillance: inverse surveillance in multimedia imaging. Paper presented at the Proceedings of the 12th annual ACM international conference on Multimedia, New York, NY, USA. Masters, A., & Michael, K. (2006). Lend me your arms: the use and implications of humancentric RFID. Electronic Commerce Research and Applications, 6(1), 29-39. Michael, K. (2010). Stop social network pitfalls. Illawarra Mercury. Michael, K. (2013c). Social Implications of Wearable Computing and Augmediated Reality in Every Day Life (IEEE Symposium on Technology and Society, ISTAS13). Toronto: IEEE. Michael, K. (2013d). Wearable computers challenge human rights. ABC Science Online. Michael, K., & Clarke, R. (2013). Location and tracking of mobile devices: Überveillance stalks the streets. Computer Law & Security Review, 29(3), 216-228. Michael, K., & Michael, M. G. (2012). Converging and coexisting systems towards smart surveillance. Awareness Magazine: Self-awareness in autonomic systems, June. Michael, K., & Michael, M. G. (Eds.). (2007). From Dataveillance to Überveillance and the Realpolitik of the Transparent Society. Wollongong, NSW, Australia. Michael, K., & Miller, K. W. (2013). Big Data: New Opportunities and New Challenges. IEEE Computer, 46(6), 22-24. Michael, K., Roussos, G., Huang, G. Q., Gadh, R., Chattopadhyay, A., Prabhu, S., et al. (2010). Planetary-scale RFID Services in an Age of Uberveillance. Proceedings of the IEEE, 98(9), 1663-1671. Michael, M. G., & Michael, K. (2007). Uberveillance. Paper presented at the 29th International Conference of Data Protection and Privacy Commissioners. Privacy Horizons: Terra Incognita, Location Based Tracking Workshop, Montreal, Canada. Michael, M. G., & Michael, K. (2010). Towards a State of Uberveillance. IEEE Technology and Society Magazine, 29(2), 9-16. Michael, M. G., & Michael, K. (2011). The Fall-Out from Emerging Technologies: on Matters of Surveillance, Social Networks and Suicide. IEEE Technology and Society Magazine, 30(3), 15-18. Orcutt, M. (2013). Electronic “Skin” Emits Light When Pressed. MIT Tech Review. Papakostas, T. V., Lima, J., & Lowe, M. (2002). 5:3 A Large Area Force Sensor for Smart Skin Applications. Sensors; Proceedings of IEEE, 5(3). Pearce, P., & Gretzel, U. (2012). Tourism in technology dead zones: documenting experiential dimensions. International Journal of Tourism Sciences, 12(2), 1-20. Pokin, S. (2007). MySpace' hoax ends with suicide of Dardenne Prairie teen. St. Louis Post-Dispatch. Resch, B. (2013). People as Sensors and Collective Sensing-Contextual Observations Complementing Geo-Sensor Network Measurements. Paper presented at the Progress in Location-Based Services, Lecture Notes in Geoinformation and Cartography. Roberts, P. (1984). Information Visualization for Stock Market Ticks: Toward a New Trading Interface. Massachusetts Institute of Technology, Boston. Stephan, K. D., Michael, K., Michael, M. G., Jacob, L., & Anesta, E. (2012). Social Implications of Technology: Past, Present, and Future. Proceedings of the IEEE, 100(13), 1752-1781. Thurston, B. (2013). I have left the internet. Fast Company, July/August(177), 66-78, 104-105. Ware, C. (2000). Information Visualization: Perception for Design. San Francisco, CA: Morgan Kaufmann. Warm, J. S., Parasuraman, R., & Matthews, G. (2008). Vigilance Requires Hard Mental Work and Is Stressful. Human Factors, 433-441. Williams, R. B. (2012). Is Facebook Good Or Bad For Your Self-Esteem? Psychology Today: Wired for Success. 3 Someone searching for a WiFi wireless network connection using a mobile device in a moving vehicle.